Hello fellow TV Addicts! As you may have read, I was out of town for a few days and am a little late on providing my weekly feedback on some regular shows. This may become a more regular occurrence in the new year with the newborn around, but we'll see how things go! For now, I have returned and have some commentary to get to! These obviously won't be full fledged recaps as I need to cover 3 shows. 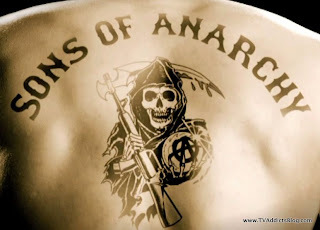 Plus, I'm going to throw a little bonus in with Sons of Anarchy! I had caught up this summer just in time for season 4's start. And I have to say, I couldn't have caught up at a better time. If you haven't watched this show, sign up for netflix streaming and get on it right now. Season 4 has to be the best yet and some major *$#& is about to go down (and already has!). Anyway, after the jump we'll get into some quick commentary on the latest eps of Fringe, The Walking Dead, Terra Nova and Sons of Anarchy. Hope you enjoy! 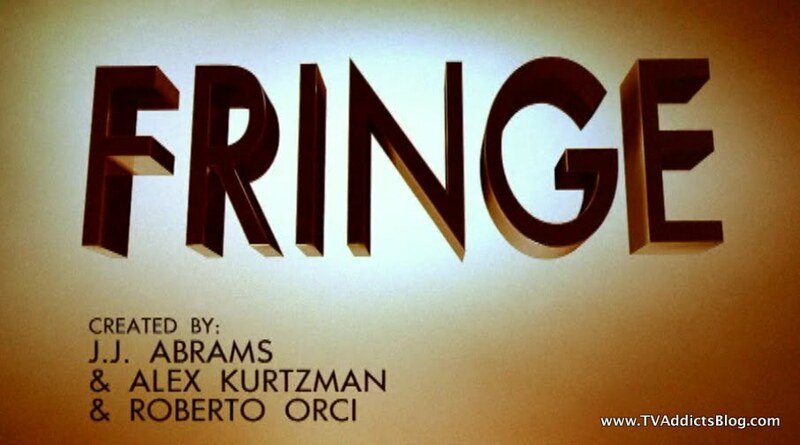 WOW, probably the best season 4 episode yet and maybe high on the list of fantastic Fringe episodes! Figures that the World Series would impact my recapping of it! I did watch this one when I was out of town and may have been a little sleepy too. So forgive me if I start saying things that don't add up. I may owe this one a rewatch. Basically, the time distortion that we have been seeing over a few episodes now came to a head in this episode. It turned out to be Milton trying to go back in time and get that Red Swingline Stapler from Lumberg once and for all! Well, no. He was trying to bring his wife from 4 years ago into the present day to finish the work she had done on finding a cure for alzheimers. The current day version of herself was very much gone to the disease. Anyway, this machine that "Raymond" (I miss Milton) built would temporarily create a time bubble around their house and transport them back to 4 years ago or bring them into the present....I dunno! This bubble was creating residual effects in the surrounding area which is why we have been seeing the effects for a few episodes now. (is this the first time that a case of the week started showing effects several episodes before?) The best part of this storyline was showing Peter's various time slippages where he'd be in one place and then jump to several minutes, hours later when they were doing something else. I love when he had figured something out and then explained it after a time jump. Lincoln asked why he didnt' just tell them when they were at the crime scene. Good times. Anyway, the case did end up getting resolved in the end as Peter volunteered to be sent in with a Faraday Cage (Which Walter ended up having to admit was a good idea). The 4 years ago wife found out what her future husband was doing and worked on finishing her work. Raymond was under the impression that if he turned off the machine, he'd have immunity and her wife would also be cured due to her finishing the formula or whatever. But, the wife's thoughts were different than his and she crossed out all of her work when she returned to her normal time. It kinda look like the current day wife knew exactly what was going on and gave a little smirk. The machine being turned off, in turn, saved a tunnel full of people that were about to be drowned out by a non existant underwater tunnel from 4 years ago. While the case was pretty awesome, we finally had some progress on the Peter front too. Judging by some early comments on the hiatus blog, I think there may be some various theories on how this thing is going to play out. By the end, Peter, Olivia and crew are all pretty convinced that Peter is in a different universe than his own. And to some extent, that is true. We've known since season 1, that this show is all about showing how one different decision can change the course of a timeline thus creating an alternate universe. So, if the Observer didn't save Peter, then obviously the course of events has changed and Peter has now been inserted in a different universe. Perhaps he created this 3rd universe from the machine? I dunno. It was one of our theories of what that machine with the power to destroy or CREATE would do. But something tells me that it's not that simple. I still have this nagging feeling that Peter is in his OWN universe and there has to be some kind of a twist that's going to clear this up. Why do I think this? All of the focus on these shared dreams of Olivia and Peter. Why would this Olivia be dreaming about Peter? Why would Walter be seeing Peter from the beyond? Why no one else? Also, why doesn't Peter remember communicating with Walter? What is THAT about? Does he remember how he got in that lake? I just think these little tidbits seem to suggest something else is going on. Besides, we still haven't figured out how in THIS timeline those 2 universes are joined and who operated that machine. Perhaps it's because it still WAS Peter? I dunno, Just throwing things out there. I'll cover everything else in our favorite section below! Observer Spotted! 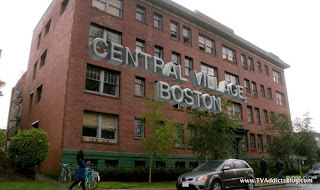 - He was walking outside that apartment building that had the time lapse fire. Basically anything involving Walter being annoyed at Peter being involved in the investigation was great. "I'd be happy to join you as soon as my lab is available to me again." He seemed to be coming around by the end after the whole Faraday Cage thing. He realized his "non-existant" son is very bright. And of course - Red Licorice! Basically everything that was brought up was revisiting stuff we pointed out from other episodes this season. Song playing in Walter's lab this week was "No Time" by The Guess Who. Pretty fitting! Loved that we saw Walter reading up on the Red Universe's technology and that they were trying to spray and look for tears in the universes as a cause for the time distortion. I'm sure more of those stories are coming with both universes. So, I'm sure there was lots more, but I'm going off my 5 day old memory here! Unfortuntately, there were originally 2 more episodes planned to air before the hiatus and the 2nd one was going to be quite the cliffhanging doozy. But now, we're going to have to wait until January for that episode. We have one more episode airing this Friday before the hiatus. The ratings are very low, so it's time to start getting scared folks! This could be the last season of Fringe we're going to see. But there's always hope! Another great episode of The Walking Dead! So many intense moments. One thing that stood out to me the most would have to have been the whole Daryl storyline with his hallucinational brother Merle guiding him back up a cliff. I didn't think they'd be able to kill off the guy so early in the show's run since he's such an awesome character. But, watching him fall down that cliff (twice), get stabbed by an arrow, almost eaten by walkers, and then shot in the head by Andrea? WOW, I don't know who else survives that! And what is up with Andrea? That girl is crazy! They all told her to not fire her weapon at the suppsed walker and she did anyway. Oh boy. Of course, in the end, Daryl made the most progress on figuring out where Sophia has gone. He found her stuffed bear so maybe there's hope? There has to be at this point if they're going to spend all season looking for her! (or at least the first half) Also, awesome to see Merle again, just wish he was real! I'm sure he'll be showing up sooner or later. Shane and Rick had a pretty big storyline. Shane wanting to move on and survive. Rick trying to be more humane. Lori seems to side with Rick at this point but she's also carrying that whole "I'm pregnant and don't know who the dad is" secret still. She forced Glenn to keep that secret. And Glenn is busy still wooing the farmer's daughter which turns out to be quite the issue by the end. We all knew Hershel was keeping some kind of secret. And he isn't thrilled with how his new visitors are taking over the farm. Cooking dinner as thanks, volunteering to go off on hunts with our survivors, Maggie developing feelings for "the Asian man". He had another sit down with Rick telling him to watch over his people and he'll watch over his. Something tells me things are going to change a bit after Glenn's planned rendezvous with Maggie at the barn. When Maggie saw the location of their meeting, she ran like the wind to stop him. But Glenn stumbled upon Hershel's little secret. Yep, a barn full of walkers!! WHAAA?? We definitely assumed that Hershel may be keeping some of these walkers around, but we still don't know why. I'm guessing it's probably members of their farm/family that they don't want to kill. Maybe he thinks he'll find a cure. Maybe he's breeding a Zombie Army and Rick and crew are in danger. Well, obviously they're in danger. They wouldn't be on a TV show if they weren't! Anyway, more to come on this show. 2 more episodes before this show goes on hiatus as well until next year. Terra Nova actually put together another decent episode. While it did put the Shannon kids in the center spotlight, they were still able to make progress on the more interesting aspects of the show. Maggie was trying to unveil some famed archeologist/paleontologist/otherkindaologist that she idolized as a fraud. In the end she was proven right. Apparently, the real OLOGIST's assistant killed off his mentor to win his ticket to Terra Nova and turn bad apples good once again! (literally) So, that took a majority of the episode and took Jim's help to save his daughter's life in the last minute. It was pretty funny to see Malcolm have such despise for this guy that he'd help Maggie try to catch him as a fraud. We also had Jim and Taylor off on a fishing trip when they stumbled upon ex-terra novian Cullen's campsite. Taylor stayed out there to pay Cullen a visit and save his life from a Dinobot or something. (remember Grimlock anyone? When is he gonna make it into the Transformers Movie Franchise?) Taylor seemed to be making up for lost time with his son by giving this guy a 2nd chance. Of course, not without a price. As suspected, Cullen is going to infiltrate the Sixers but as a spy for Taylor. They need to find out who the bug is. I still don't know how it's not Boylan, but I'm guessing it will have to be someone else if they are spending so much time building it up. And of course we had Josh trying to get Kara to Terra Nova. Mira finally made her request and they need a certain kind of drug to stop an outbreak amongst her people. Naturally, this pits Josh against his mother. But after seeing proof of Kara coming on the next pligrimage, he was on board. Yes, Mira CAN communicate with the future and in the goofiest way possible! So Josh makes a fake ID that ends up not working (not even to open a door. Really? Broken window!?!) so he shoots his way to the meds, feels guilty about it in the end and steals one back. Boylan tries to cover for the whole operation by planting an idiot as the culprit, but it backfires. In the end, Josh confesses that Boylan got him into this whole mess, so he's in deep doo doo. But all seems forgiven against Josh and Jim finds it more interesting on the revelation that Mira can communicate with the future. Taylor assumes this was his son Lucas's doing but that he can't possibly still be alive. Why? Well it would seem to be implied that Taylor killed his son. But as we saw last week, Lucas is very much alive. So we'll see I guess! WOW. I don't even know where to begin with this episode! Every episode just seems to get better than the one before it. I'm still not even going to try and make sense of all of the Sons dealings with what because I still don't get it. But the character drama and what is going down there is just awesome. Wendy showing up in Tara's room freaked me out. Why? Because Wendy is nuts, that's why! But apparently she's turned a new leaf. Still doesn't make anyone trust her. And of course, her wanting to see her birthson throws Tara on a tantrum messing up her hand even more. Yikes! Gemma finds out that Jax and Tara are planning to skip town with the kids. She's absolutely beside herself. Throw on top of that that she's been almost beaten to death by Clay and things are quite a disaster right now. She was planning on taking care of the Clay hit all by herself, but enter Unser! Unser has had it with Clay's antics and brought his animosity right to Clay himself, threatening to kill him if he lays another hand on Gemma. Tig turned in his stripes to Clay after what he did to Gemma! He no longer has the man's back. WOW! Then what about the whole Call of Duty battle in the middle of the episode and how quickly they offed Kozik by a land mine? I was kinda sad by this as it made me remember of the whole reason Tig wouldn't let him into the group in the first place. It was all over a dog!! Good times, RIP Kozik. Then there was the whole JAX/Ope scene. Ope saying that he didn't come back to the club for Jax. He did it because it was the only way of life he knew. And it would be the same for Jax too. Tara even hinted at this to Jax. There is no way out. Even if Jax will keep thinking there is. There was that great moment of Gemma and Clay closing their respective doors and seeing a tear on Clay's face. There's definitely more story to be told there, perhaps to justify his actions (not that you can really FULLY justify them). But the final moments are what really got our blood pumping. Opie grabbed the keys to his chopper and headed out to pick up his father at the cabin. Unser followed him there knowing what he'd find. Naturally, Opie was a mess and assumed Unser was behind/involved in it when he showed up. But Unser came totally clean on what was going on here. He told the absolute truth which was hard for him to swallow. Then, they even tied it into season 1 by Unser telling Opie that Clay has caused so much drama for him. Clay put the hit on him and ended up killing his wife, and now he has killed his father to avoid some dirty secrets from coming out. "Clay has got to go....."
Can't wait to see what's coming next. And I still can't imagine the fallout of what is going to happen. But, I also can't imagine Clay is going to be offed this season either. But it certainly would provide some interesting storylines for next season if he was. Turning the club around (or trying to), maybe Jax runs into the same hurdles that Clay always did justifying his actions in the long run. But if Sutter wants 3 more seasons, I just can't imagine that many without Clay. I guess we'll see! This has to be the show I anticipate the most each week right now. It is just SOOOOO good! My wife and I had a 15 hour drive yesterday, but the goal of getting home in time to watch Sons of Anarchy was motivation enough to get us through it! I wish I could spend time recapping it more often, but we have been discussing it in the comments every week. Great great show, and I highly recommend it! So that's all my commentary for now! I should be back to full capacity for this weekend's new episodes! I still need to catch up on the other shows I missed over the past week, but I'll get there! Feel free to discuss any of them in the comments and I'll get to the comments when I can. Hope you enjoyed my ramblings and I'll see you soon! Zoe's fascination with this Scientist guy being a vampire. It was so ridiculous! The whoe fishing trip with Jim and Taylor was pretty classic. And totally random! But Jim debating about what he'd tell everyone about the size of the fish he caught (or didn't catch) was pretty darn amusing. And that's it for Terra Nova this week as well! MJ- RE: your comments from the last post- Awake is on some sort of hiatus so the writers can focus on the scripts. hopefully they'll find room for it a little later on in the season. anyway, SOA WAS AWESOME AS USUAL! ryan hurst did an amazing job in that last scene. when he was asking unser what happened, his voice gave him this little boy quality that i found very attractive, lol.. not that i like little boys, hahaha! it just felt innocent for a "hardened biker guy", and it's cute. but i'll stop gushing. RIP kozik, you were fun while you lasted. i was upset about his departure, but i guess i'd rather it be him than, say, chibs or tig. speaking of tig, his reaction to gemma's beaten face was adorable. i'm so glad he turned in his sgt at arms patch. wendy's return was inevitable at some point in the series, i wonder what will happen to that. i love how she was bringing gemma up to speed on her life and said at the end that she likes women now, lol. poor tara, i was cringing a lot when she was banging her hand on the table. and then seeing her wheeled away with blood coming out of her cast? oh man. great acting from her (and all the others) yet again. Terra Nova- i dunno, i almost didn't watch this week because i still don't care about the series. i do love taylor though, because he's so over the top- it's highly entertaining! i agree about that vampire crap. after the second mention of it, i was like, "SHUT UP ZOE!" and that english doctor guy (malcolm?) was definitely funny when he realized maddy was looking into the ologist and totally got on board. how many episodes are left? Still haven't seen ONCE (still refuse to call it OUAT!) but I'll get to it eventually. Still 2 behind on Dexter, 2 behind on Ringer and i dunno what else. But, I gotta say...this new Homeland Drama on Showtime has become must see for me. It actually kicked Dexter to the back burner for me to definitely watch on Sunday nights. It's THAT good! I will catch up on Dexter though. I have to! SOA - Funny on the Penn State reference! (weird that it didn't post lol yeah probably thought it was HTML somehow lol). I do get worried with things like Kozik and the other Newbs to the group. Are they just brought on so they can be killed off without damaging the core group? LOST did stuff like that in seasons 2-5 (especially 2). So while it seemed like they were killing off lots of characters, most of them...save Charlie and Michael (who was gone for a whole season)...weren't with the original cast. So the stakes seem a lot higher than they really are. Now...I say all of this but Sutter did kill off Piney this season and he was a season 1 guy. He just seemed primed to be taken out of the equation at some point. So, I'll be really interested to see who he decides, if anyone, to off in these final episodes. And could he possibly off himself (aka Otto) leaving him no opportunites outside of flashbacks to appear on the show? lol Agree on the Tara, Gemma, Wendy stuff. All very powerful scenes in the episode. Just a great season overall!! oh yeah, i forgot to comment on juice and chibs' conversation too. i don't think it can make any difference now, since he already signed his life away to lincoln potter. juice's face said it all though- "i'm an idiot, if i had come clean in the beginning i wouldn't be in this mess!" hopefully roosevelt will provide some sort of assistance on the matter. perhaps his guilt will cause him to help juice or something. come to think of it, "once" is much better than "ouat", i'll probably start using that now! most of the time nbc is the cause for its shows failing- switching things around, putting hiatuses (hiati?) so no one knows when to watch, backing the wrong show and canceling the shows with more promise. that's why i'm really nervous for grimm. it seems to be doing ok, though, so i'm breathing a little bit now. grimm and the office are the only shows i watch on nbc now, and the office is getting pretty stale. sometimes i catch parks and rec, but that's about it. i'll cross my fingers for community for you though! i tried to watch whitney but couldn't give it more than 5 minutes before switching the channel. oh, and i believe tonight's AHS is supposed to reveal the identity of the rubber man. i'm calling it now- i think it's the husband that constance shot. though i don't want to be right since i think it should be ANYONE else.. still, i want to call that one! if i'm right, i'm gonna look so cool. if i'm wrong, i obviously know nothing and should stop speculating, haha! it's a risk i'm willing to take. i know you're behind on AHS, mike, so GET ON IT! lol! Yeah, maybe Roosevelt will help Juice out...good point! Oh man...Parks and Rec is much better than just a "sometimes" show! lol Caught up on that one on Netflix last year and been loving it ever since. Ron Swanson is one of the greatest sitcom characters of all time! lol But yeah Community is a tough show for the masses to like. It's so well written, acted and executed....but the laughs don't come easy if you're not paying attention or get the inside jokes they're referring to! Office - I agree is stale, but I think they've done a pretty decent job without Michael Scott so far. But, if any show needed to move from Thursday, I may have voted for that. Or to bring 30 rock back on a different night. I dunno!! And Up All Night I could take or leave, but I think it would do the best of all of the comedies at 8:00. Then again, I'm no programming master or anything! Nice lol Well, I still need to watch the 2 AHS eps. I don't know when I'm going to get to it all! Whew ! I've been so busy at work that I've had no time to catch up. It really was interesting that Peter seemed to have no knowdegde of trying to come thru to Walter - has to mean something. PU joke would have been hysterical I'm sure. Is Kozik the one taken by the mine? You guys are good - I could not tell you his name. With each passing week I can't see HOW Clay will make it thru the season. Now that Unser manned up and told Opie - wow. Ottot was hysterical telling Mr states atty when he can speak. Loved it ! Tara was just heartbreaking, as was Jax when he saw his mom. Agree Kelly - Tig giving up the sgt patch was awesome. Juice only told about being part black - he, of course, did not mention that he's been swept into the Rico investigation. Thought it was strange that after they kill Tom Arnold one of they guys says to go tell Otto - but Bobby already went to Otto and lied about killing Tom Arnold months ago. Did the guys not know that ? Havent' watched Terra Nova. It's def far down on my priority list. Missed AHS last night - try tonight to watch it. I dumped Whitney and Up all night ages ago. I liked Prime Suspect but that looks to be history. Mike - we'll talk Dexter once you are caught up. Clay is left with absolutly no one on his side any more. Yikes - the +7 Dvr numbers are out from Halloween weekend. Grimm and Chuck did add nicely to their numbers (YAY!) but it doesn't even mention Fringe. Fringe: LOL on the dream! I have thought from time to time that maybe Peter is still in the machine from the end of season 3....but I don't know if fans would forgive that either!! SOA: Kozik was the mine guy, as for knowing who he was? IMDB! (I have to do research sometimes if I'm gonna pretend to be somewhat smart on these shows!) Otto was fantastic in this episode agreed. As for Clay...the fact that it seems so obvious that he's going to die is what makes me think even more that he won't! But we'll see. Yep...Juice didn't mention the other stuff. He's pretty screwed! I just assumed that Bobby must have told someone (off camera) that he lied to Otto and now that that he has fixed his guilty conscience, he needs to go tell Otto the truth. I'm 2 behind on Up All Night and not really anxious to catch up. We've just been so busy that some of these shows just have to fall by the wayside. AHS is not one of those shows...I need to catch up! HIMYM - Sorry! I forgot to discuss. I thought the episode was decent. I like them bringing back the whole "eating the sandwich" thing for the Ted/Marshall storyline, but most of that story was kinda boring and repetitive. Of course, that was intentional and the payoff at the end that it was 2 minutes was great! I saw where the Barney/Robin thing was going from a mile away, but that didn't make it any more excruciating to watch at the end. I guess we can most likely count out Nora from the wedding though. The producers had said in many interviews that there will be many twists and turns before getting to that wedding. Considering Robin and Barney never really got over each other, it would be tough to think it would be anyone other than Robin though too. Guess we'll see! What did you make of high Ted stumbling in on Barney at the end with cleaning up Robin's room? Was he jealous? It made me think a little bit about Veronica's statement to Ted that the thing between him, Robin and Barney is not really resolved. I'm suspecting more to come there! It was tough, though, not to root for Kumar a little bit after his speech to Robin! Still enjoying the show in season 7 though, so that's saying something! Wow..those Chuck increases are HUGE! lol But understandable for a Friday night airing. I would hope Fringe would still be seeing gains, but maybe there are more frustrated people with this season that we thought. I just thought Fringe fans were a little more patient than that. Veronica's comment to ted def came back to me as well. But Ted also looked kinda sad - like sad for Barney. I was sad for Barney - possibly blown it with Nora - but not gettiing Robin. Agree with both points - the sandwich bit was fun - but the whole story line was kinda dull and drawn out. Just watched AHS last night - will hold off discussion on that one. I called Kozik - the guy from the shield - which I know you did not watch. ;-D That was an awesome scene though. Totally agree that Clay SHOULD die. And I do like the idea of a season of new leadership in the wake of Clay's demise. But I just can't imagine where things would go after that! I'm sure something is going to come up where they need him alive. AHS - feel free to discuss...I don't know when I'll be catching up. Hopefully this wknd but we'll see! Lots to do. You have a good wknd too!